Can’t make it to the show? Here are some of the exciting new product announcements from Yamaha. Every January, the entire musical instruments industry — manufacturers, dealers, artists, fans and the merely curious — convenes in Anaheim, California for the annual NAMM (National Association of Music Merchants) show. It’s quite an event. A wide assortment of music-related products and technologies are put on display, orders are placed for the coming year, autographs are gathered, and concerts and parties run long into the night. If you can’t make it to this year’s extravaganza, here are some of the hottest new offerings from Yamaha. The Sonogenic SHS-500 is a “keytar”— a musical keyboard that can be held like a guitar — that enables anyone to play their favorite songs, regardless of musical ability. It can be used in conjunction with the free Yamaha Chord Tracker app, which analyzes the music library residing in your smartphone or tablet and then sends data directly to the instrument via wireless MIDI over Bluetooth® so that keys on the SHS-500 trigger only the correct chords — and any soloing notes that go with them. 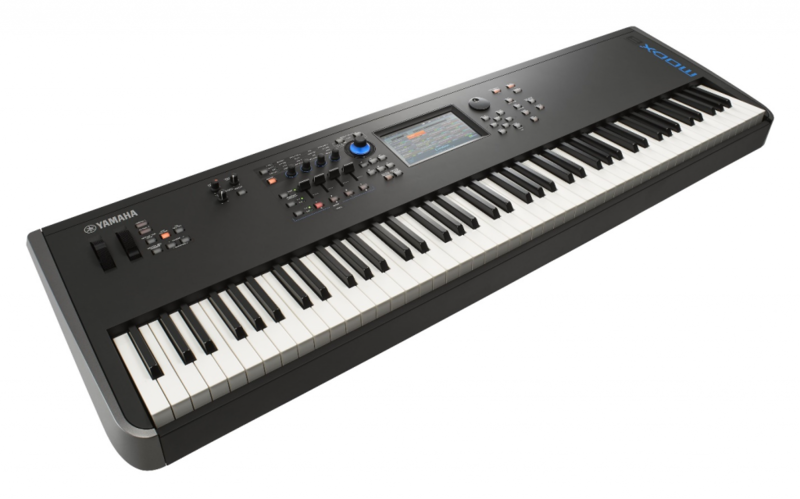 The SHS-500 can also be used to wirelessly control software-based synths and virtual instruments on a laptop computer or mobile smart device, plus it comes with 30 high-quality Voices (including piano, synths, and two drum kits) for stand-alone playing. 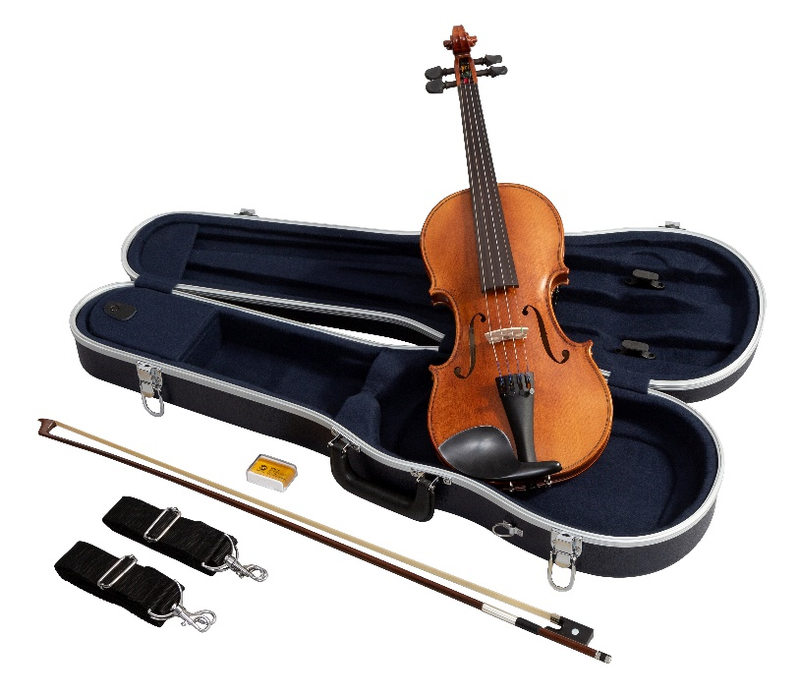 Wheels and buttons along the neck provide pitch-bend, modulation, octave shifting, key transposition, playback control and more. The new 73-key CP73 and 88-key CP88 represent a radical reinvention of the digital stage piano, with three main sections that can quickly be split or combined as desired: Piano, Electric Piano, and Sub. Both models include voices sampled from the Yamaha CFX and Bösendorfer Imperial grand pianos, Yamaha U1 upright, CP80 electric grand and other instruments, including strings, pads, organs and chromatic percussion. Also provided is a rotary speaker simulation, as well as synth-like attack and release controls, plus tempo-syncable delay, lush reverb and a three-band global master EQ. The CP73 offers a Balanced Hammer action, while the CP88 features a Natural Wood triple sensor action as well as Synthetic Ebony and Ivory key tops to increase finger grip. Balanced XLR outs allow connection to a mixer or stage snake without direct boxes, and there are left and right 1/4″ inputs with their own gain control, allowing a second keyboard to be heard through the CP’s main outputs without the need for a mixer. Yamaha first introduced its groundbreaking TransAcoustic technology in 2016 with the premium LL-TA and LS-TA models, Now, with the introduction of the CG-TA and CSF-TA, TransAcoustic comes to classical and parlor guitars. Like other TA models, they incorporate an actuator hidden inside the guitar that senses the vibrations of the strings, enhances them, and conveys them back to the body and the air in and around the guitar to create authentic reverb and chorusing … with no need for external amplification or effects devices. 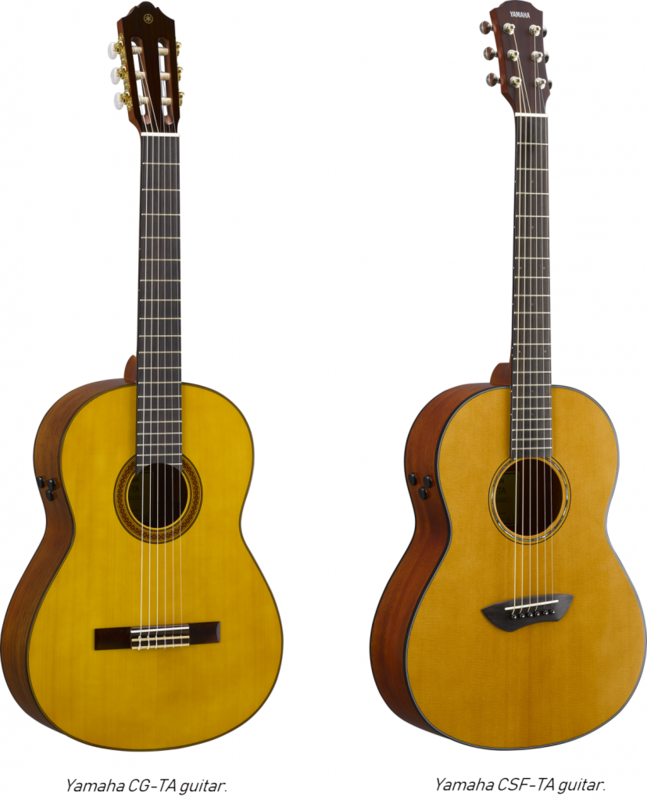 The CG-TA is based on the popular, mid-priced CG162 nylon string guitar. It features an Engelmann spruce top and a body of ovangkol, an attractive rosewood relative with excellent tonal properties. The CSF-TA provides the affordability, portability and premium sound and construction of the Yamaha CSF line of parlor guitars. It offers a scalloped bracing to boost tone and projection and has a solid Sitka spruce top mated to laminated mahogany back and sides, nato neck, rosewood fingerboard and bridge, and abalone rosette. The 20-fret fingerboard sports a 600 mm (23.7″) scale length to offer easy playing without compromising the instrument’s range. Both models include a SYSTEM70 TransAcoustic + SRT Piezo pickup system. For over 40 years, from the DX7 to the MOTIF and MONTAGE, Yamaha synthesizers have inspired sound designers the world over. Now there’s MODX, a new synth with the DNA of MONTAGE plus upgraded sound engines and expression control, all in a compact, mobile and lightweight package. 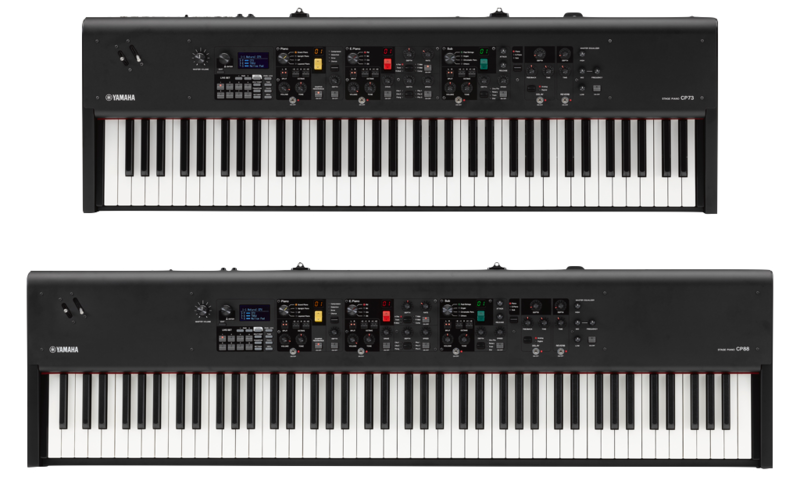 There are three models to choose from: The 61-note MODX6, perfect for synthesists seeking the dynamic sound of modern Frequency Modulation (FM-X) synthesis; keyboardists looking for realistic piano, electric piano, strings, brass and other imitative sounds will appreciate the versatility and expanded range of the 76-key MODX7; and pianists needing a realistic piano touch and sound will be inspired by the MODX8, with its 88 graded and weighted keys. 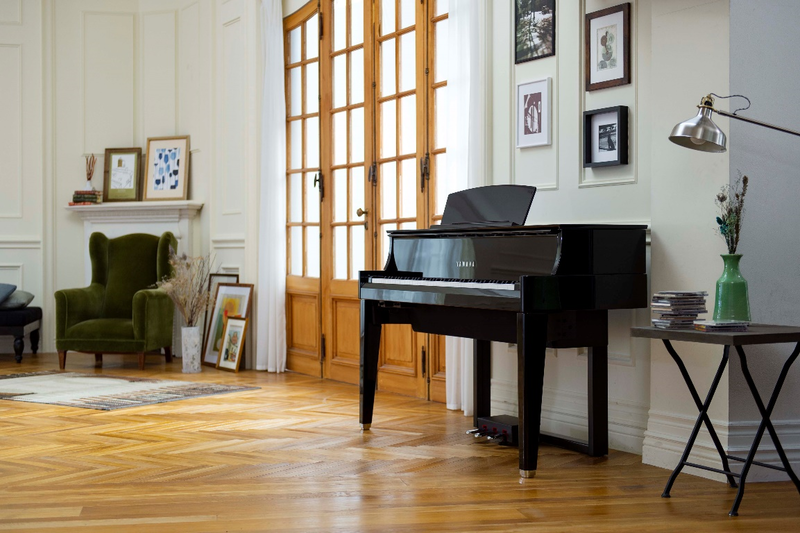 In 2009, Yamaha debuted AvantGrand, the world’s first digital acoustic “hybrid” instruments that successfully captured the sound, touch, action and physical resonance of a concert-quality grand piano … but without the tuning, cost or footprint of a comparable stringed instrument. The newest model to join the lineup is the N1X, an affordable second-generation instrument housed in a space-saving, vertical-style modern cabinet. It features samples of the Yamaha CFX and Bösendorfer Imperial grand pianos — even a binaural CFX optimized for listening through headphones — recorded at multiple velocity layers for seamless transitions, with extended dynamic and harmonic range suitable for all genres of music. In addition, Virtual Resonance Modeling (VRM) captures every detail of how the internal components of an acoustic piano vibrate in response to struck notes, including sympathetic string resonance, damper pedal resonance and the natural resonance of the soundboard. Employing real wooden keys and hammers, the action of the N1X is the same as that of a grand piano, but with non-contact optical key sensors that detect every nuance of the player’s timing, velocity, legato and other musical techniques. The end result is a playing experience virtually indistinguishable from that of sitting at a top-notch concert grand. The N1X also provides an advanced four-channel speaker system that sends subtly different frequency information to each channel’s speaker so that the sound “blooms” from the instrument in the same manner as from a concert grand piano. Via Bluetooth, songs from a computer or mobile device can be wirelessly streamed through the speaker system, and the N1X’s onboard audio recording system even enables playback of downloaded song files. The new Yamaha Live Custom Hybrid Oak series drum sets provide drummers with an enhanced and expanded sonic range, from powerful attack to low fundamental tones. Employing the hybrid shell construction from the acclaimed PHX series, the LCHO’s 7-ply shells are constructed with a phenolic ply between the oak plies, giving players more shell life, sustain and dynamic range. 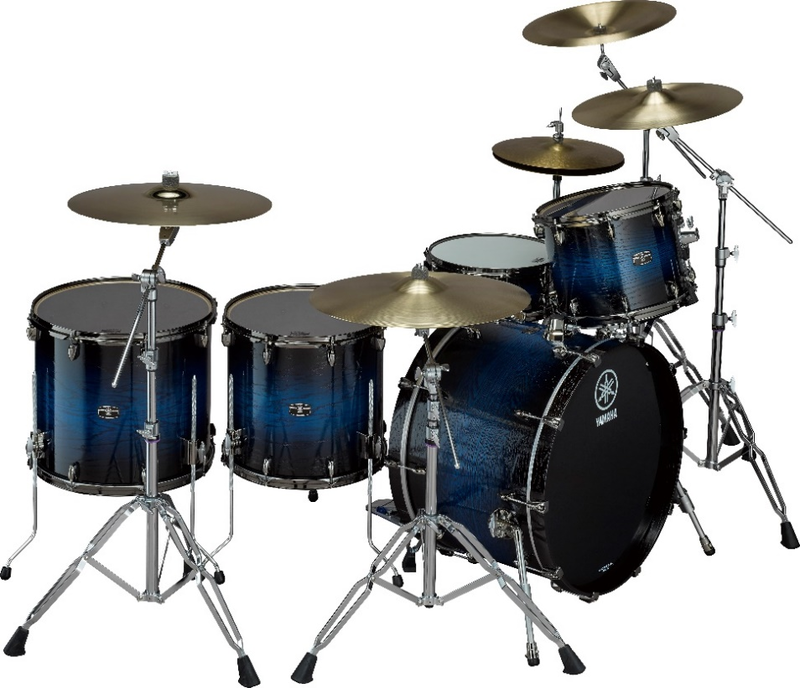 To cut unnecessary frequencies and boost low tones, Yamaha developed a new process called Bass Drum Frequency Control weight. This introduces dark chrome Absolute lug weights strategically placed inside the bass drum to provide a stronger low-end. Other features include a YESS III Tom Mount to allow the shells to vibrate more freely, as well as durable dark chrome lugs and hoops, plus Remo U.S. heads. Live Custom Hybrid Oak snare drums in the 14″ x 5.5″ edition include high carbon steel 25-strand snare wires. Their hybrid shells allow for maximum protection and sensitivity, giving the classic cutting tone that comes with oak wood. The series features five new unique uzukuri finishes: UZU Ice Sunburst, UZU Magma Sunburst, UZU Natural, UZU Earth Sunburst and UZU Charcoal Sunburst. Yamaha Live Custom Hybrid Oak drum set in UZU Ice Sunburst finish. Yamaha also announced three new limited-edition Revstar solid-body electric guitar models in bold finishes, plus an updated standard-edition model — each of them incorporating new woods, hardware and electronics. These include the RS702B in Black and the RS720BX in Vintage White. The RS702B takes the popular RS720B with Bigsby vibrato tailpiece and replaces its humbucker pickups with P-90 pickups, giving the guitarist a rich, warm, focused sound to explore. The RS720BX enhances the FilterTron look of the pickups with more traditional chrome pickup covers for a classic, elegant look. Also added is the RS502TFM in Ash Gray and Vintage Japanese Denim finishes, with attractive flame maple tops for a textured, rippled effect. In addition, the standard-edition RS820CR is now available in Brushed Black and Brushed Teal, along with an updated black aluminum pickguard. The limited-edition Revstar models present a rare opportunity for collectors and enthusiasts since Yamaha will be shipping only 100 of each finish of the RS502TFM and 30 each of the RS702B and RS720BX to the United States. Yamaha Revstar RS502TFM in Vintage Japanese Denim finish. High school, college and professional level flutists will all appreciate the trio of new Yamaha flutes shown at NAMM: the YFL-597H, YFL-697H and YFL-797H. All three offer rich, nuanced tonality over a wide dynamic range, along with sterling craftsmanship, consistency, precision and visual elegance. The 597H and 697H models combine the brilliance of nickel silver with the characteristic mellow timbres of sterling silver, while the 797H delivers the warmth and expressive color that only the finest sterling silver flutes can provide. The new instruments feature a newly-redesigned mechanism incorporating a split E key, a vital component now available as an option on all Yamaha professional flutes. Other highlights include a beautiful hand-finished sterling silver head joint on all models, and 0.43mm wall thickness and Straubinger Phoenix™ pads (in the 600 and 700 series), which provide a precise seal and quick response, especially when combined with newly redesigned tone holes and pad cups. NAMM also saw the introduction of the TR-8310ZII(S) — the second generation of the popular Yamaha Custom Z trumpet. The original Custom Z, released in 2001, was borne out of the company’s long and close partnership with legendary trumpet player Bobby Shew, who has been a Yamaha artist since 1992. Shew wanted to create one super-efficient instrument that could alternatively scream out a powerful lead, or play soft, mellow ballads. The result of this collaboration was the YTR-8310Z. While maintaining many of the design features that made the original Custom Z trumpet so unique, the YTR-8310ZII has an updated leadpipe and a precise valve casing design. These modifications combine to offer unprecedented tonal richness and depth, while maintaining maximum efficiency and comfortable resistance for players in any setting and genre — from the jazz club stage to the recording studio. Another major product announcement from Yamaha was the limited edition YTR-8335IISKG Xeno trumpet. Xeno trumpets blend outstanding instrument design and advanced technology with the experience of respected artists around the world, and the Xeno line was the company’s first to fully incorporate a “heavyweight” bell design across all models. These expertly crafted instruments are defined by outstanding power and projection, combined with refined resistance and highly responsive action for extraordinary tonal flexibility. Only 100 of the new YTR-8335IISKG trumpets will be made, designed with unique features including gold-plated trim, black mother-of-pearl finger buttons and special “Kangakki” (which means “wind instrument” in Japanese) engraving on the bell. These enhancements speak not only to the rich history of advancements in Xeno design but also to their modern, state-of-the-art production. See you at next year’s NAMM — and remember, if you can’t make the show in person, you can always catch the highlights here! 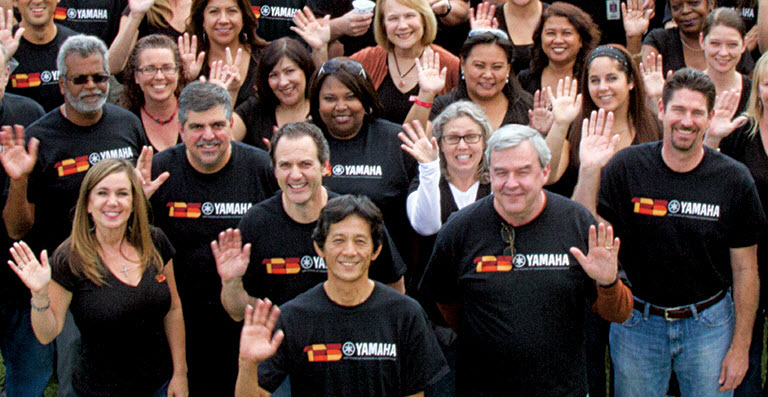 For more information about these and other great Yamaha music products, click here.